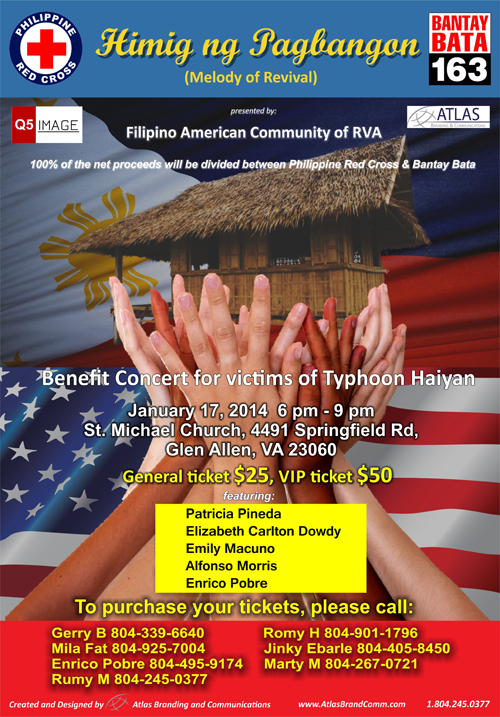 Come through and support the ongoing typhoon relief effort in the Philippines! We have a concert this Friday evening that will be one not to miss. Prices of tickets have been updated and discounted to $15 / $25 and may be purchased in advance or at the door!